HomeParadise BlogTipsTOP 5 CANDIES TO AVOID THIS HALLOWEEN! Halloween is a popular holiday, where people of all ages dress up in costumes and Trick-or-treat door to door in hopes of their favorite candies and snacks. Dentists, doctors and health care professionals aren’t so fond of this holiday because of the nutrition facts of these candies and snacks and what they can do to oral health. 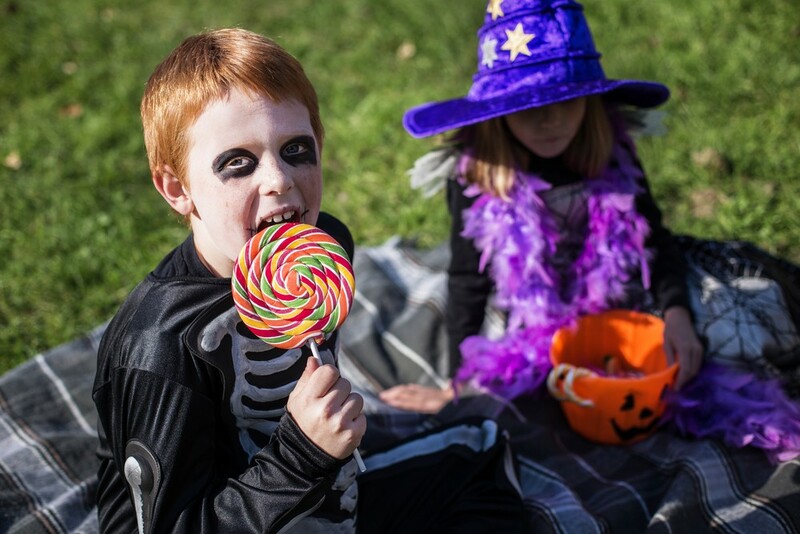 Parents alike try to limit their children’s intake of Halloween candy for their own sake as children tend to get a little rambunctious after eating lots of candy, as well as their children’s health. We have rounded up the 5 worst Halloween candies to avoid giving out to your trick-or-treaters to protect the health of their mouths. This is one of the worst candy for your mouth because the biggest reason that candy is harmful to teeth is because the bacteria in the mouth burns sugar and turns it into acids. The acids dissolve the tooth enamel, and with chewy candy, they tend to stay in your mouth longer and have more time and more acid which means more tooth decay. Anything that has caramel in it. Caramel is so bad for teeth because it’s sticky and will stick to teeth and braces, retainers, or fillings. If you do eat caramel, it’s best to brush and floss after. Sour candy has become more and more popular, and with that trend showing no drop, they are one of the worst thing for your teeth. They contain both sugar and acid which is what makes the sour taste. Lollipops and suckers are a favorite on Halloween night! But they do cause more harm than you would think on your teeth – since they last longer, and are meant to be enjoyed over a period of time the duration of time the sugar (and acids) on your teeth is greater. These are some of the worst candy for your teeth because not only are they sour but then there is a chewy candy under. Once the sour acid and sugar is off, you then have a chewy candy to stick to your teeth to cause more problems. Like everyone who loves the holidays, we recommend after eating any candy to brush and floss your teeth to get rid of any sugar or acid that was left behind. If you have any questions about oral health and preventative measures, feel free to contact us on our website or call us at 781-780-2246 .